Reading through the letters brings up many interesting topics..but I can’t resist adding this to the blog even though it is rather childish, it made me laugh..and that is good enough reason at the moment. 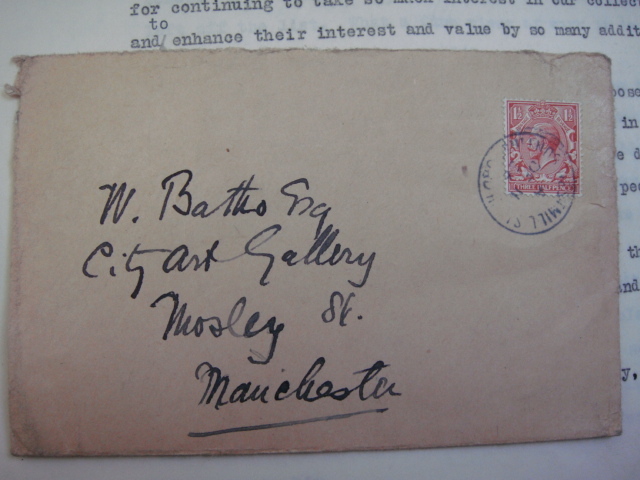 From a letter to Mrs Greg from the Assistant curator 31st July 1923….. 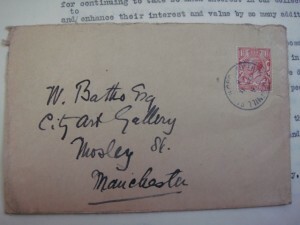 The reply , on the 6th July 1924, is from the Assistant Curator ,who like the curators today, clearly takes great pride in looking after their collections and replies with..
You can almost sense the horror in their voice that anyone would think they have moths and that exhibits might be stored in a lumber room. T. A. Coward, acting keeper of Manchester Museum writes to Mr. Batho in 1922 thanking him for the ‘very nice specimen of Platypus from Mrs. Greg’. I emailed the museum to find out more about him. He was an ornithologist and in the 1980’s George Fildes compiled notes on his history. T.A Coward was a famous Cheshire Naturalist and author of popular ornithological books and had a long and influential association with the Manchester Museum. He served 19 years on the Museum Committee. He was born and died in Bowden, not far from the River Bollin where his house still stands marked with a blue plaque in his honour. Coward was in his time President of the Manchester Literary and Philosophical Society and a fellow of the Zoological and Entomological Societies. Birds of the British Isles and their Eggs 1919. In searching for the relatives of the correspondents I’m discovering all sorts. Mr Sabin, Mary’s friend from Bethnal Green Museum, now the V&A Museum of Childhood was a poet! His works include The Death of Icarus. He also was an early founder of the Samurai Press.